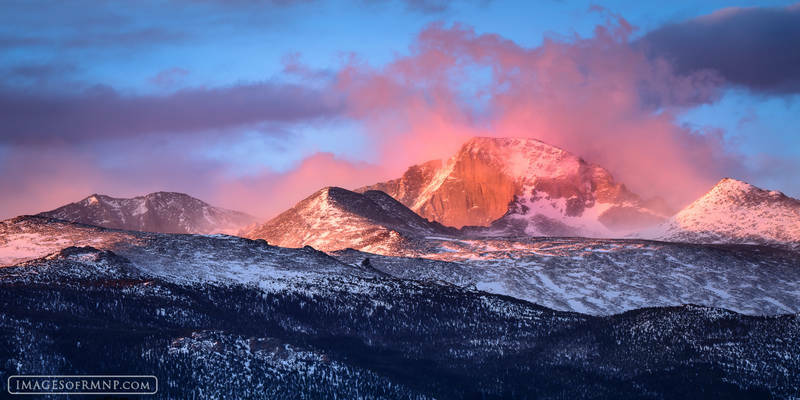 On this morning we were treated to a spectacular sunrise on Longs Peak for a brief minute. In these special moments time seems to stand still and the whole world seems to sing, that is if you are listening. Photo © copyright by Erik Stensland.